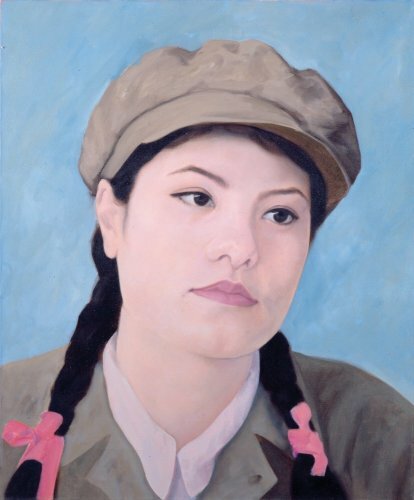 Using women as metaphors is a constant in Qi Zhilong‘s career, their different rendering illustrate the complexity of visual references through the various stages of development in Chinese society since the Cultural Revolution and the subsequent contradictions blatant in visual culture. His Consumer Icons series was influenced by ‘Pop Art‘. They feature faceless young women clad in bikinis juxtaposed against a flat surface decorated with flowers in full blossom with the image of Mao Zedong in the background. 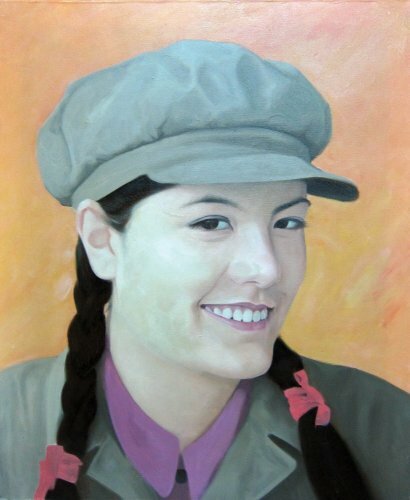 This series ironically comments on the many paradoxes consumerism and commercialism, as radical changes from the Mao era, brought about in Chinese popular culture. Such representations express the tension from the restraint still at play in Communist China then, such as the yearning of its people for abundance and the absurdity of the brutal discrepancy. 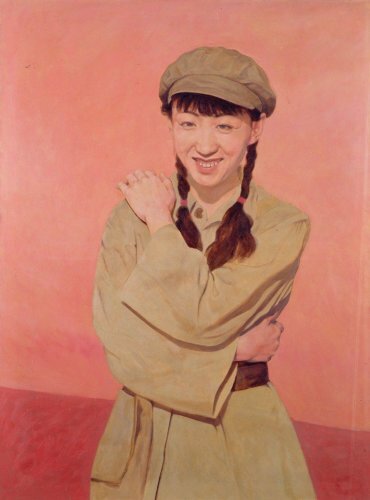 After 1995, Qi Zhilong started painting young women in uniform, the titles for this series vary but always convey anonymity. 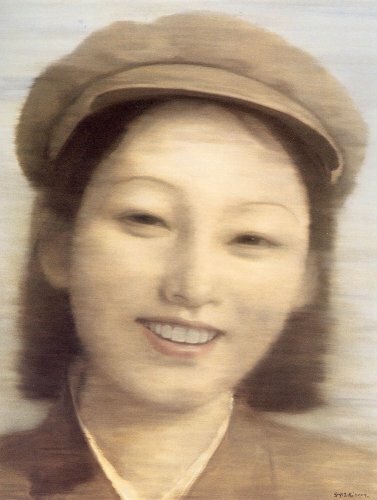 Qi Zhilong further plays on the contradictions of Chinese society and history: his models although rendered anonymous are actually icons of the new society such as actresses and fashion models, whose smiles and postures, along with close-ups reminiscent of celebrity photography, are at odds with the Communist ideals of uniform. 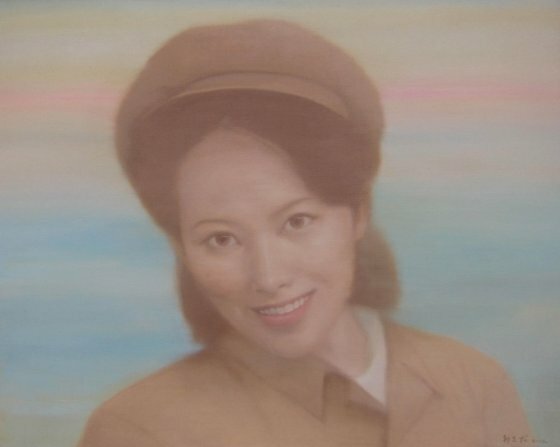 The heroic scale of these portraits, normally reserved for the Chairman himself, is also at odds with the rank of the subject, supposedly just a female soldier, or a girl according to the titles.